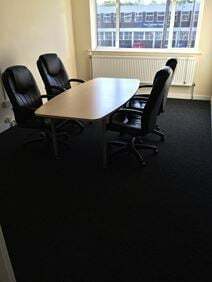 These newly refurbished office suites are in an area that provides industrial, commercial and office space. The centre has a variety of different sized offices available that are all available on flexible terms. Extensive range of fully serviced offices and meeting/ conference facilities within a beautiful Grade II listed building close to the centre of Leeds. Stylishly furnished to a high standard, with high spec IT and telephony systems. Conveniently situated off Leeds' ring road, with excellent local road and motorway connections and ample parking facilities. Leeds central railway station is within easy walking distance, offering mainline connections with London.